Fly Fishing for Trout on a Budget: An Angler's Guide to Fishing More And Spending Less! Patrick Babby is an 18 year veteran and active police officer for the Wilmington Police Department. He has written two books: Fly Fishing for Trout on a Budget and True Stories from my Life as an Angler. 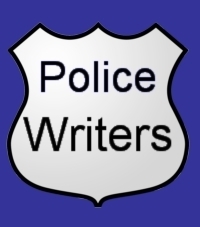 The recruitment page of the Wilmington Police Department states, “The Police Officer, with the Department of Police, performs general police work duties as authorized by law to protect life and property; prevent violation(s) of statutes and laws; investigates and suppresses disturbances; investigates complaints; makes arrests and issues summons when appropriate; does related work as required.